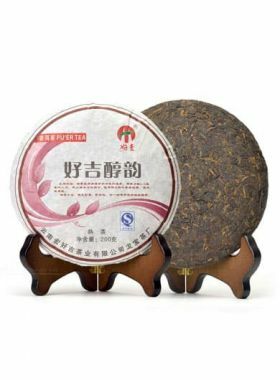 This is generally an entry-level Ripe Puerh Cake Tea with good price for Puerh Tea lovers to taste Arbor old tree Puerh Tea. The tea leaves used to make this cake are all hand-picked from large-leaf arbor tea trees between 50 and 100 years old. 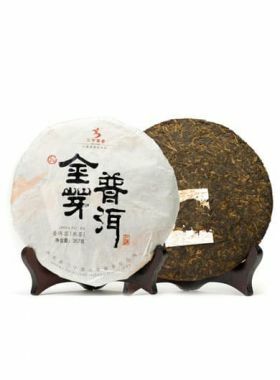 If you’re looking to try old-tree pu-erh tea, you can’t miss this one with its excellent price. 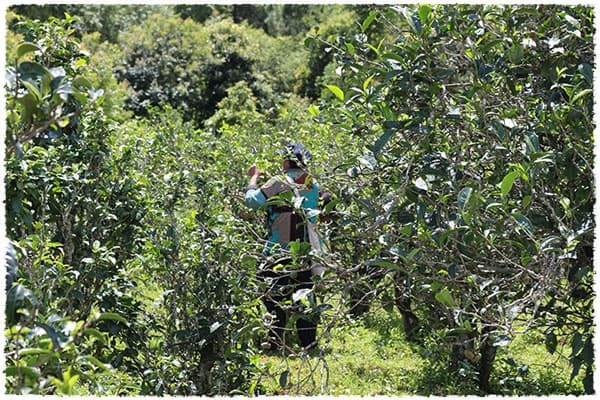 The Fengshan area of Yunnan is a notable region for arbor tea trees, many of them aged to a few hundred years old, and a few up to a thousand or more. 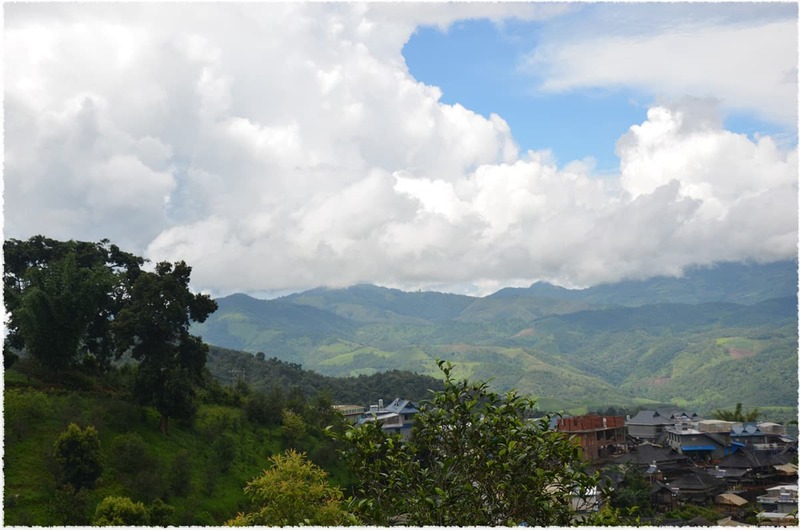 Fengshan shares a border with Xiaowan town to the east, Sanchahe to the south, Menyou and Desili to the west, and Dasi to the north, and is an important tea-planting region in Fengqing covering more than 50,000 mu, at an altitude mainly above 1900 meters. 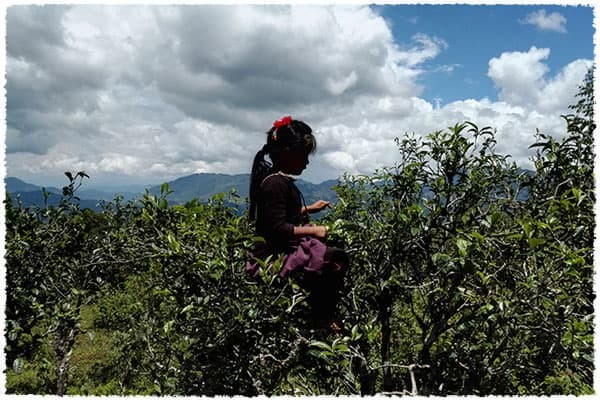 The older villagers and young children who should be enjoying comfortable lives still choose to pick tea leaves among the lush foliage, or perform the laborious task of climbing the trees. They enjoy these tasks and always smile when picking the leaves. Life with tea, including picking and drinking it, are the most important parts of their lives. The tea pickers keep busy with their work beneath the blue sky and soft clouds. Fresh, fat leaves stand straight out along the old trees in the sun, among harmonious and beautiful scenery. 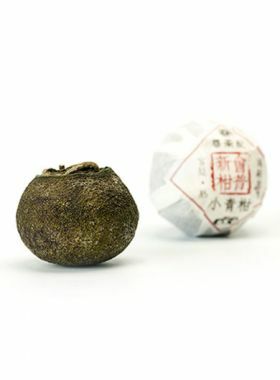 This ripe pu-erh cake comes from the representative pu-erh production area, Fengqing, located south of the Dianxi Longitudinal Valley. 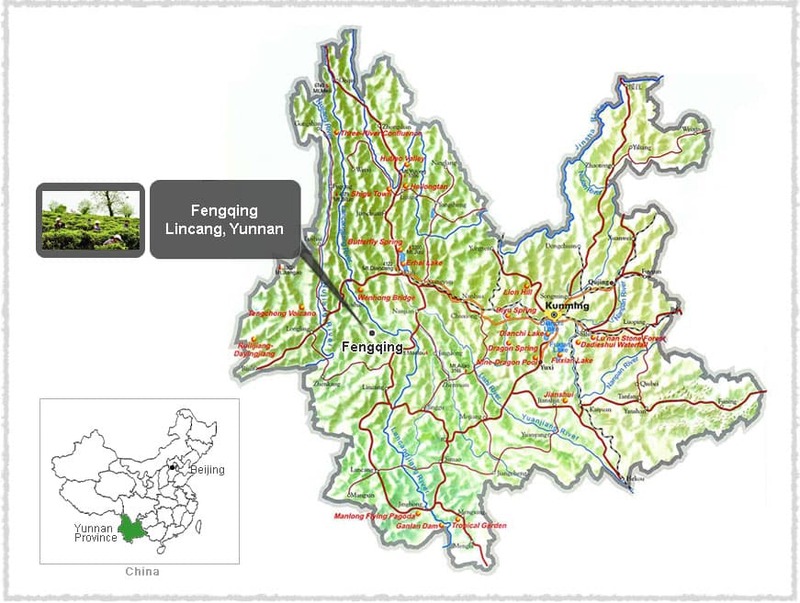 Fengqing is a county in the northwestern part of Lincang, one of the four famous pu-erh production regions (among Xishuangbanna, Pu’er, and Baoshon), and is one of the original birthplaces of tea. It is also famous for being the hometown of Yunnan black tea. Fengqing has a long history of planting, producing, and drinking tea. 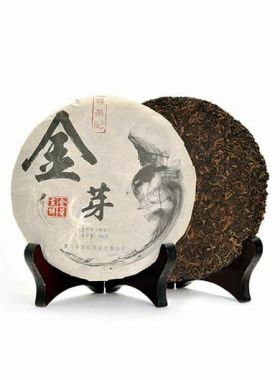 The tea leaves used to make this pu-erh cake were carefully selected from 50-100 year old large-leaf arbor-type tea trees. These trees grow naturally without any fertilizers or pesticides, and with the only human interaction being some loosening of the soil and the occasional trimming or pruning of the branches. The leaves were hand-picked during April 2008, containing many golden buds that ensure the high quality of this cake. 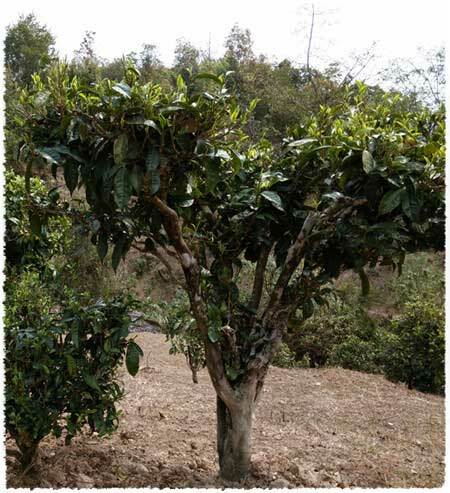 The super-large-leaf and arbor qualities of the tree mean that it can grow to over six meters tall. In 1984 the Fengqing large-leaf species was certified by the Chinese government as a national grade. 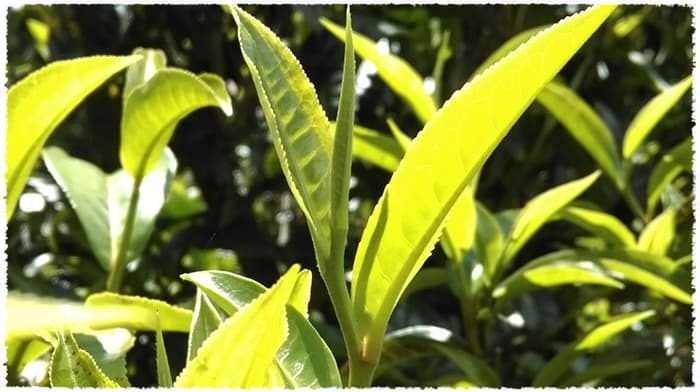 It contains an abundance of tea polyphenols and catechins, at 30.2% and 13.4% respectively, and also has 2.9% amino acids and 3.2% caffeine for the spring-picked leaves.